3-D printing is securing an exciting foothold in space exploration. A NASA spacecraft will include 3-D printed parts—these are for NASA's Orion mission. The spacecraft will eventually send astronauts to the Moon and beyond. Orion's test flights are on the cards, Exploration Mission-1 and EM-2. The plans: An initial flight. It will fly uninhabited. Then a follow up flight will have a crew of astronauts traveling. This EM-2 will also go near the Moon, with astronauts on board. NASA will be enabled "to prepare for increasingly complex missions in deep space," said the news release. Matt Reynolds in Wired remarked that the spacecraft "may eventually allow us to send human crews to Mars or even beyond." Who is making the parts? U.S. defense contractor Lockheed Martin, 3-D printing specialist Stratasys, and Phoenix Analysis & Design Technologies (PADT) are involved. 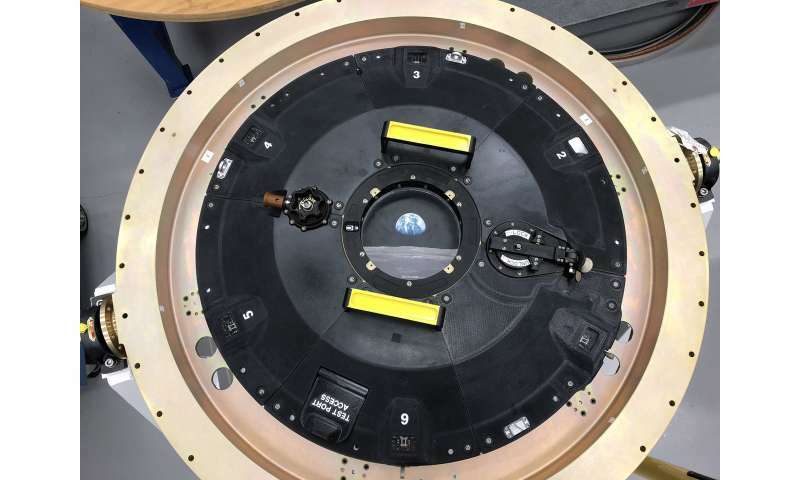 "The mission will use more than 100 3-D printed production parts on board, engineered in conjunction with Lockheed Martin, Stratasys and PADT," said the news release. The parts for Orion are produced at the Additive Manufacturing Lab at Lockheed Martin in conjunction with Tempe, Arizona- based PADT. The materials must be able to withstand the extreme temperatures and chemical exposure of deep-space missions. Wired quoted Scott Sevcik, vice president of manufacturing solutions at Stratasys. "[These plastics] are generally much higher in terms of requirements, they need to be much stronger and they need to resist flame." The new Antero material for example meets requirements for heat and chemical resistance, and it can withstand high mechanical loads. 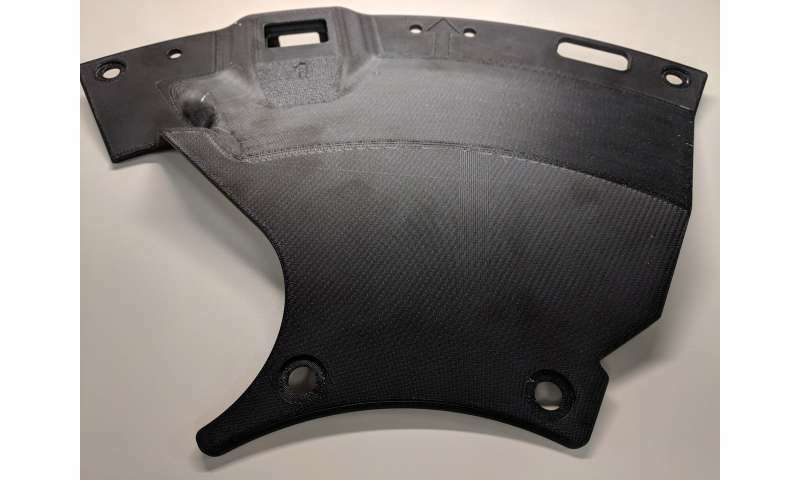 Stratasys' Antero is a variety of thermoplastic and the news release said it will be used for a part situated outside of Orion's docking hatch. Reynolds in Wired provided more details about "Antero 800NA, that can withstand the extreme temperatures and forces involved in launching a spacecraft hundreds of thousands of miles away from Earth." Also, said Wired, the Sevcik team "added carbon nanotubes that help dissipate the static charge that builds up in the plastic over time, minimising the risk of nasty electrical faults developing in the middle of a mission." All in all, the Orion's use of 3-D-printed parts is a sign of how 3-D printing may support interest in seeing spacecraft at a more affordable cost and faster to produce. Interestingly, reported Reuters, "The agency's European counterpart, ESA, has suggested that moon rock and Mars dust could be used to 3-D print structures and tools, which could significantly reduce the cost of future space missions because less material would need to be brought along from Earth." As for the name Orion NASA said that it was named "after one of the largest constellations in the night sky and drawing from more than 50 years of spaceflight research and development."